A fascinating look at the world's most numerous inhabitants, illustrated with stunning images from the American Museum of Natural History's Rare Book Collection. To date, we have discovered and described or named around 1.1 million insect species, and thousands of new species are added to the ranks every year. It is estimated that there are around five million insect species on Earth, making them the most diverse lineage of all life by far. This magnificent volume from the American Museum of Natural History tells their incredible story. 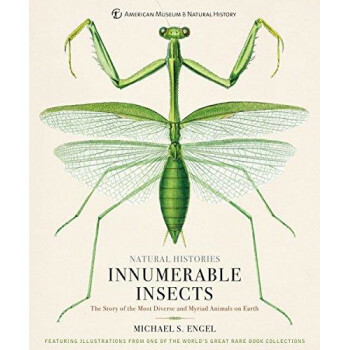 Noted entomologist Michael S. Engel explores insects' evolution and diversity; metamorphosis; pests, parasites, and plagues; society and language; camouflage; and pollination-as well as tales of discovery by intrepid entomologists. More than 180 illustrations from the Rare Book Collection at the Museum's Research Library reveal the extraordinary world of insects down to their tiniest, most astonishing details, from butterflies' iridescent wings to beetles' vibrant colors.